Everything you need to reach all your learners! 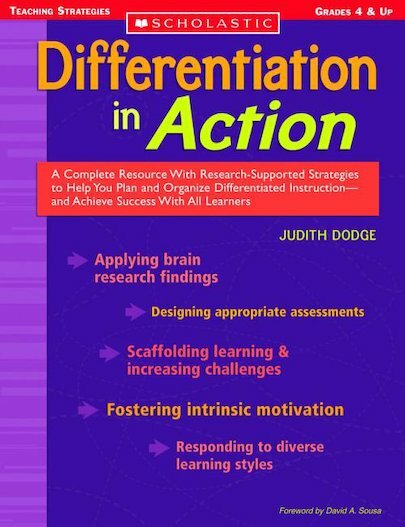 Judith Dodge effectively blends her years of experience and the latest research to provide teachers with innovative, practical tools that have an immediate impact in your classroom. Find out how to create and plan differentiated lessons, assess students at different levels, harness the power of visual tools, and reach out to pupils with varying learning styles and needs. All the support you need to put theory into practice, with tips on providing suitable options for both struggling and advanced learners. For use with Grades 4 and up.